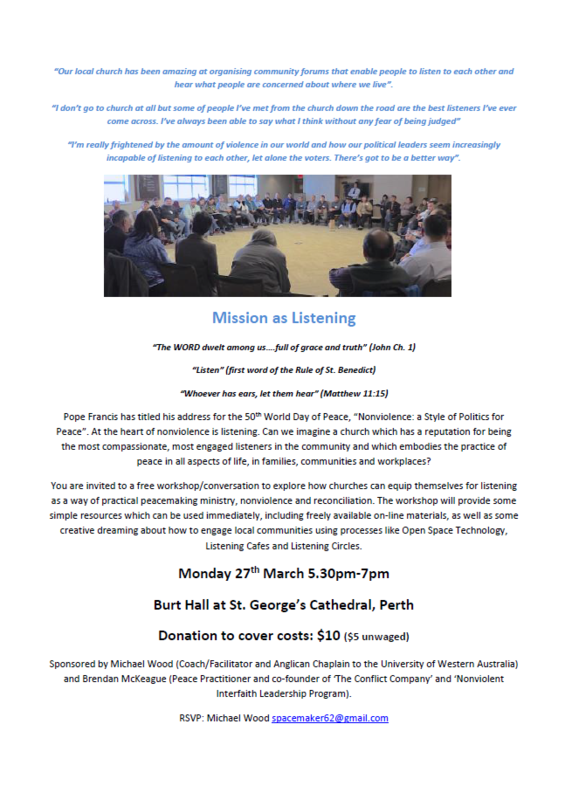 On 27th March Michael Wood and Brendan McKeague will be facilitating a workshop and conversation called “Mission as Listening.” Based on Pope Francis’ message for World Day of peace 2017, “Nonviolence: a Style of Politics for Peace,” the workshop will look at how churches can equip themselves for listening as a way of practical peacemaking ministry, nonviolence and reconciliation. 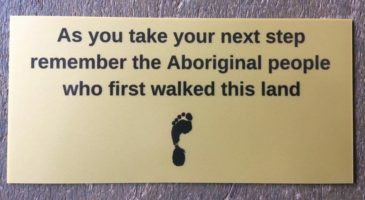 The event will be held at Burt Hall, St George’s Cathedral, Perth from 5:30pm – 7pm on 27th March. If you are interested in attending, please click on the flyer below for full details and to RSVP.